Why do we focus on optimizing food and beverage operations? The food and beverage department drives your marketing, drives your appeal, and drives your cash flow during times of the year that golf and other amenities are a non-factor. It is the MOJO department! If your restaurant was a standalone business, how long would it last before it ran out of money? Your chef must develop a plan on what you can execute, repeat, execute, repeat, execute, repeat. Do you notice the theme? It must be consistent! The food must be solid and priced at a level that fully accounts for the profitability of the club. Food and beverage MUST make a profit! A solid food and beverage plan starts with menu creation – a menu that balances the grill side, sautée side, and cold side. Properly sourcing the product so that it is local, relevant, and fresh, is a very close second. While clubs can work with national vendors for staple items, your guests often want something closer to home. The popularity of Food Network has turned everyone into a chef and has raised the culinary expectation of all guests. Food is so important we created another company, Taylor Hospitality, to specialize in food and beverage. If your club conducts banquets and events, congrats! When managed correctly, they can be a major factor in lowering the dining price for the membership or other guests. Banquets should be your most profitable food and beverage product and drive considerable cash flow to the clubs. You must set your labor percentages compared to revenue appropriately so this department can be profitable. In addition, your banquet menu must be costed out properly to ensure the profitability of the banquet. But, be careful to double check – this is where food and beverage operations go sideways fast. Here is a sample banquet menu from one of our properties.  At Up to Par, our team of experts takes an in-depth look at operations to find out why is the club not profitable. From labor models and agronomy plans to banquet sales and demographic studies, our team has seen and conquered the toughest situations to ensure a club’s survival. You can find proof here. Please reach out if you’d like some help making your club profitable, we’ll be delighted to deliver for you.